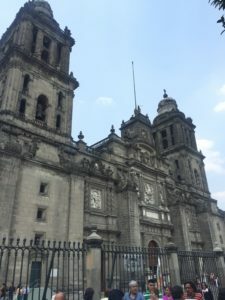 While Mexico City has a reputation of being unsafe, Mexico City is not only safe, but also an amazing city with lots of wonderful attractions. It has one of the highest concentrations (if not the highest) concentration of museums in the world. The food is also simply amazing. 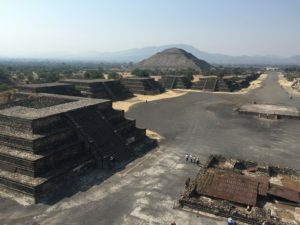 Teotihuacan was an ancient civilization prior to Aztecs that had tremendous level of influence in the region. 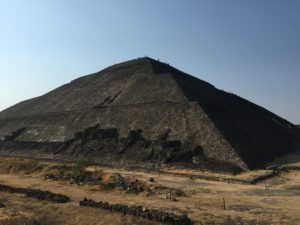 Teotihuacan is located about 1 hour (no traffic) from the city. To hit all of these four locations, it takes roughly 3 hours without a guide. Should we do an organized tour or travel their independently? 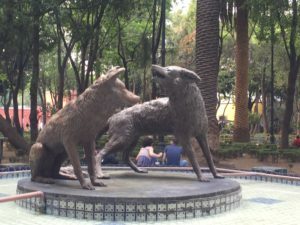 Our hotel, Wyndham Garden Inn – Polanco, quoted us a rate of 1,500 Mexican Peso (<$100) to take us to Teotihuacan, wait for us, and drop us back at hotel. Since we had four people, it only cost $25 per person. If you are by yourself or in a group of 2, the best option might be to travel via bus. An organized tour will run around 850 Mexican Peso per person. All of these options also stop at the Shrine of Guadalupe. Given our limited time, we decided to skip the Shrine of Guadalupe. The Anthropology museum is considered one of the greatest museums in the world. The museum is located on the north side of Chapultepec park. There are two floors. 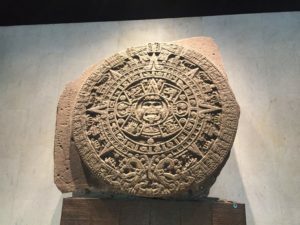 The bottom floor walks through all of the different civilizations across Mexico (e.g., Mayans, Aztec) organized by regions. 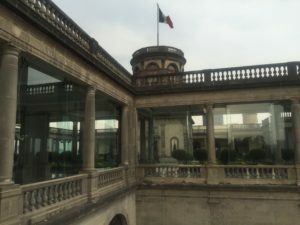 The top floor talks about the different cultures that make up the great country of Mexico. 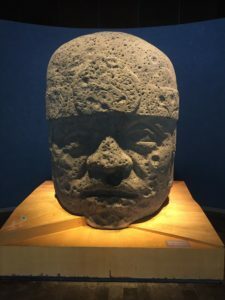 The main attractions are the Aztec Calendar, Replica of the ruler Montezuma’s feathered headdress, reconstruction of an eighth century Mayan tomb, and Olmec heads. We spent about 2.5 hours walking around the first floor and only about 45 minutes on the top floor. We were mentally exhausted from the first floor. If you are spending a long time in Mexico City, it might make most sense to visit a floor each day. 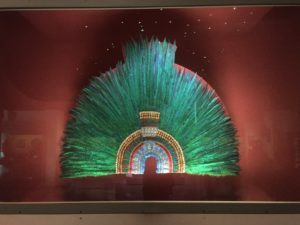 The cost to the museum is under $10 per person. Within the heart of Chapultepec park, the Chapultepec castle sits on a hill. The cost is only 65 Mexican peso. 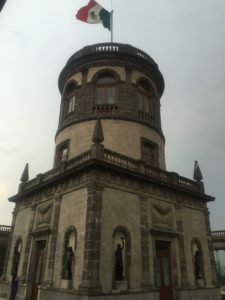 It is a beautiful castle that is also the home of the National Museum of Mexico. The primary downside is that none of the plaques are in English. The views of Mexico City are simply amazing. Coyoacan is a traditional village that was ultimately incorporated into Mexico City. It is a beautiful area that actually feels like Mexico as opposed to the well developed neighborhoods of Polanco, La Condesa, etc. 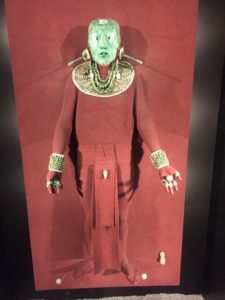 Within Coyoacan, there are a number of museums including Museo Frida Kahlo and Leon Trotsky Museum. 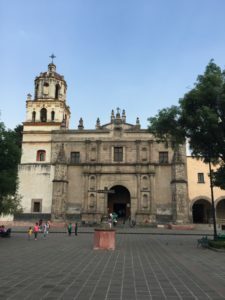 The home of Cortes and a beautiful cathedral are also located in Coyoacan. 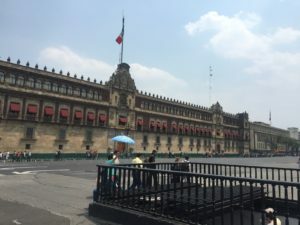 The Zocalo Square is the central square within Mexico City. Metropolitan Cathedral and National Palace are each located along one side of the square. Templo Mayor (Aztec Ruins) is located just off the corner of the square. All are very beautiful and worth visiting. The neighborhood is also worth spending some time. One friend from Colombia indicated that Mexico and Peru have the best food in all of Central/South America. The food was amazing. Some great restaurants were Azul Condesa (Condesa) and Jaguar (Santa Fe).